Watch all episodes online now! Click here to order the series on DVD! Israel is a land of ancient history, storied traditions, and opposing peoples. In the western world, this Middle Eastern nation is seen through the hazy lens of news headlines and political spin. Why Israel Matters, a new original documentary series presented by Christians in Defense of Israel and Liberty Counsel with Impact Productions and TBN, gives viewers an up close and personal view of this small nation that plays a big role on the world’s stage. 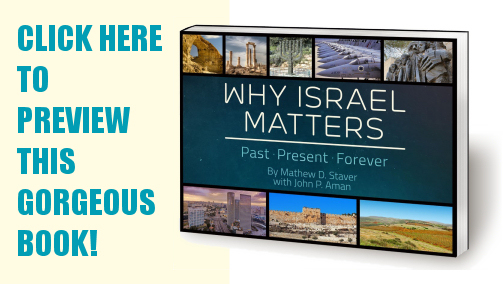 Why Israel Matters explores the big picture topics associated with Israel by zooming in on first-hand accounts of actual people who live this this historic land. Full of moving stories, thought-provoking questions, and inspiring takeaways, this original series will strengthen viewers’ faith and empower them to thoughtfully engage in the global conversation. 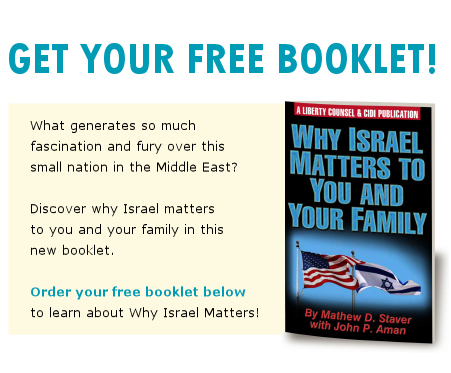 Join the movement to stand with Israel, and receive your free booklet by registering today! Dive deeper to discover why Israel attracts so much fascination, frustration, and fury. Seven decades after its miraculous rebirth, Israel is a global leader playing a vital role in the world. This gorgeous 200+ page full-color book is the perfect complement to any coffee table, and is sure to inspire conversation. Click here to order your copy now!